Today’s post is part four of our “Re-Examined Series,” in which we are taking a look at some well-known passages that may not mean what we’ve tried to make the mean over the years. 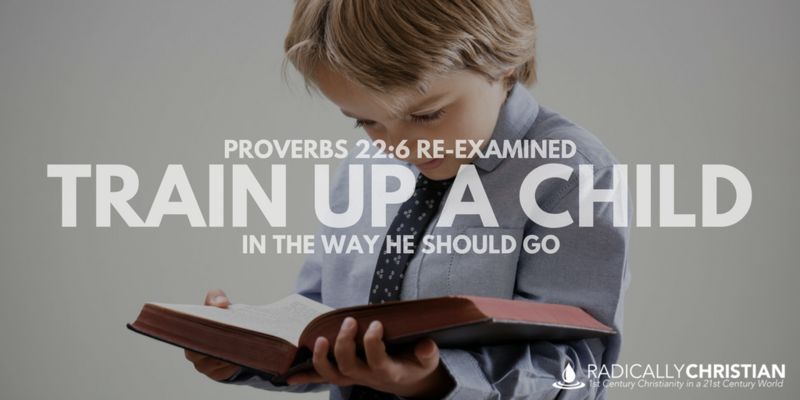 Today we will re-examine Proverbs 22:6, “Train up a child in the way he should go; even when he is old he will not depart from it.” Honestly, I’ve been shocked this week as I’ve dug deeper into this verse. Let’s look at it together. One way people read this passage is a promise that if you teach your children about God, they will be faithful to Him in adulthood. Sadly, this has caused a lot of pain and sorrow for parents whose children have left the faith. They wonder, “Did I not train them in the way they should go? Is this my fault?” Or, worse yet, they wonder why God broke His promise. Trying to move away from that interpretation, many have suggested that the phrase, “The way he should go” is specific to each individual child. 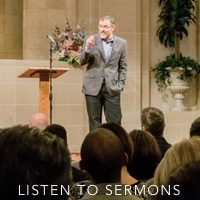 In other words, they believe this passage is more about training a child to embrace his or her own unique gifts and talents; finding the path that God has for him or her as an individual. After examining the words and phrases in this passage, it seems to me that both of these interpretations miss the mark. First, the book of Proverbs is NOT a book of promises. We shouldn’t read the Proverbs as saying, “If you do X, then God promises Y will always happen as a result.” Rather, the book of Proverbs is a book of wise sayings, phrased in such a way as to be pithy and memorable. When taken as a whole, these proverbs help God’s covenant people – especially young people – develop a heartfelt appreciation for wise, righteous, and godly living. Proverbs 22:6 begins with the Hebrew word, “hanak.” This word appears in three other verses in the Old Testament (Deuteronomy 20:5; 1 Kings 8:63; 2 Chronicles 7:5). Interestingly, every other time this word is used, it is not translated, “train up,” it is translated, “dedicate.” It means to get something started or initiate something. So the first part of the Proverb is about starting a child off in a certain direction or starting him on a path. The Hebrew word for “way” appears 69 times in the book of Proverbs. It is used to describe BOTH the way of wickedness (e.g. Proverbs 12:26) and the way of righteousness (e.g. Proverbs 13:6). Essentially, it is a road or path metaphor that simply describes a manner of life. So if you take what we’ve discovered, the literal reading of Proverbs 22:6 would read something like, “Initiate a child on his path; even when he is old he will not depart from it.” It seems to simply mean we are set on a path as children and we seldom deviate from that path. This proverb could be a warning. It could warn me, as a parent, if I allow my children to follow the “way that seems right” to them (Proverbs 14:12), I will have a hard time getting them off that path when they become adults. After all, the path that children are naturally inclined to follow is a path of foolishness and it takes discipline to keep children from going down that path (Proverbs 22:15). On the other hand, it could be an encouragement to “dedicate” or “initiate” children on the path of holiness, righteousness, and wisdom when they are young. In other words, get a child started on his path of doing right when he is young; it will be harder to get him off that path when he is an adult. Another possibility is that this proverb is intentionally ambiguous in order to highlight the malleability of children and the challenge of getting adults to change their ways once they’re on a particular path. Either way, there is a lot of wisdom in this one little proverb and God’s people would do well to meditate on it and apply it to our lives.